Oak Lawn Real Estate - Find Your Perfect Home For Sale! Besides a few brief stints in Denver, Colorado, Kendal Cook has spent her life in the Lone Star State and loves it. Born in Houston, Kendal then attended The University of Texas in Austin, before finally landing home in Dallas. Working at the Dallas Business Journal and then moving on to work for home builders, helped hone her love for real estate. Kendal has been in East Dallas for over 12 years now and lives in Lakewood with her 8 year old son who attends a local private school. She is very active in her so n’s school and activities. 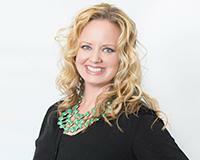 Whether you are looking to buy sell or lease in the Dallas/Ft Worth area, Kendal Cook is excited to work for you!